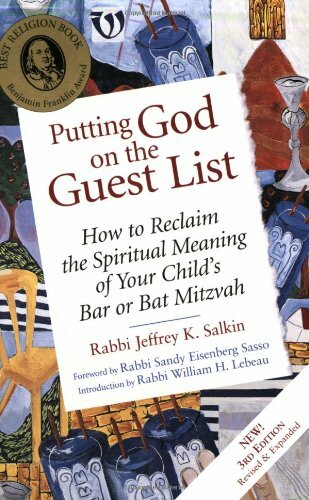 Expert Review of Putting God on the Guest List by Jeffrey K. Salkin, one of our picks of the top Jewish books for kids! A most important Jewish rite of passage, the Bar/Bat Mitzvah celebration, is more than just an enjoyable big party. This book focuses on using this celebration as a time to connect to God. Salkin answers many questions such as: Where did this celebration originate from? What are the ethics of celebration? How can it be made more spiritually meaningful? See also the Kids' companion to this volume.